Sitting volleyball club (KSO) "Feniks" has been established in July 2008 and the name was changed in January 2012 to Volleyball Club for Disabled "Feniks". It gathers disabled persons of various kind, that found their psicho-physical rescue in this sport, and not in blemish. However, "Feniks" also accepts non-disabled persons as members. They also put an effort and give their best on increasing sport level and club sport advancement. The official system of competition of Serbian sitting volleyball has not yet been fully defined and so it is maintained ad hoc, ie. according the current conditions. The first tournaments were played in cities where there were clubs or sections (Belgrade, Kikinda, Subotica, Zrenjanin). After a series of tournaments in 2008/2009 in four cities, "Feniks", as the multiple champion, was undisputedly the most successfull team. Unfortunately, soon after these tournaments, the team from Zrenjanin faded out. Suboticians have also stopped training and competiting for a while, but they were later established as a club. Clubs were formed in Backa Palanka and later in Kragujevac. Thus in 2011. was created a new base for the new championship of clubs in Serbia. "Feniks" has been through many matches in various tournaments and gained enough experience to become inviolable in this championship 2011/12, but more about these and all other games you can read on the News page. These successes are certainly caused by hard & headstrong work on trainings. Training sessions are organized in elementary school "Vuk Karadžić" in our town, Kikinda. Let us take this opportunity to express our gratitude to the school principal and school collective with their traditional affection to volleball, and now also to sitting volleyball. Being rather small, this sport-hall is very suitable for our trainings. More about this school can be found on this school's webpage. Since very old times, human society treated plays and sports as the one of the most popular scope of entertainment because of few simple, but strong reasons: they brings huge benefit influencing to keep and improve psychophysical health condition and health in general. For disabled persons sport and recreation activities means very significant component for planing and using free time, improving health condition and working abilities. These activities have huge importance for psychophysical adaption of disabled person, for the win against feeling of disability and social reintegration. These are the most natural kind of healing and cure, and necessary continuation of convetional methods of psycho & physical therapy in proces of rehabilitation, because complete rehabilitation allude complex process of rehabilitation of disabled person. There are many sport activities devised for disabled persons, but one of the leding and one of the most succesfull sports is, certainly, sitting volleyball. 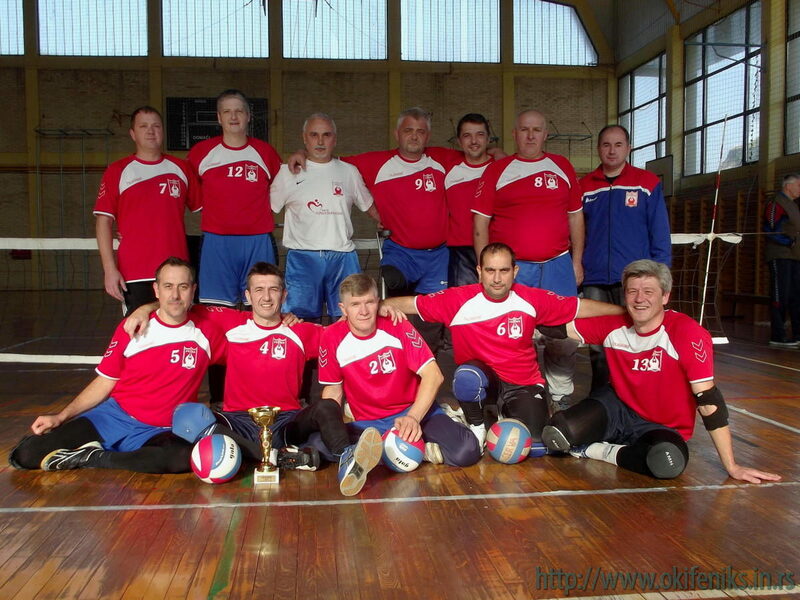 There is a Volleyball Club for Disabled "FENIKS" which resides and takes activities in Kikinda. Until very recently, this was the only sports club of the sort in Vojvodina - the club that attends this very dynamical sport. 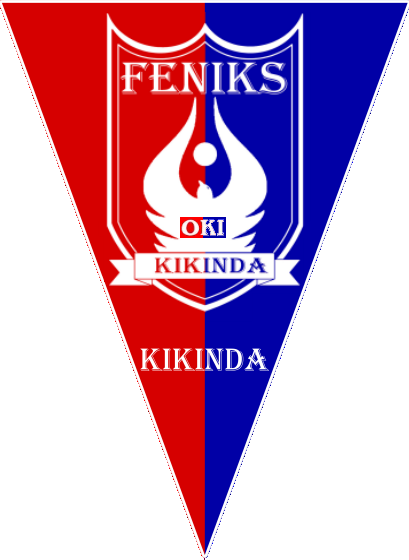 Club "Feniks" has been established on July 26th 2008 and registered in Ministry of sport organizations under number 16755 and under the name KSO "Feniks", for accomplishment of sport activities in sitting volleyball of disabled and non-disabled persons. Initiative for establishing of this club was from former Yugoslavia (SFRJ) representatives and winners of medals on World and European championships in sitting volleyball Milan Živić and Dragoslav Đuričin, the winner of National acknowledgement for sport achievements, and as well, from few people who are honest and huge fans of this sport. The main goals of "Feniks" are developing, improving the game and growing the number of players, encouraging disabled persons, as well as the others, to play sitting volley, improving the organization of regular Serbian competition, collaboration with other clubs and organizations attending the same sport and all other organizations who can, will & want to contribute the development and improvement of sitting volleyball. Although "Feniks" is young and very specific sport collective, club succeded to make all structurs of the club, and we can say that this club have very impressive attention in a short period of time, concerning disabled persons and ex-players of regular volleball, so now we have around 20 players. Our competition activities by now are connected to taking part in Championships and Cups of Serbia, Republic Srpska and Hungary, but as well attending tournaments organized by sitting volleball clubs and sections in organizations for disabled who are working in Serbia and around, in neighbour countries, and we have very nice collaboration and friendly relationship with all of them. On tournaments where we participated were established very important contacts with other teams. These contacts and friendships means a lot to all our team members and these are important for future club functioning. OKI "Feniks" is the first sitting volleyball club in Vojvodina that succeded to organize the International tournaments "Kikinda Cup" (the first was in year 2009) with help from enthusiastic people, sitting volley supporters, and sport lovers in general, as well as friends from Serbian sport society of disabled persons. All teams marked the organization of tournament as very good one! We created the honest friendly and hosly atmosphere on our tournaments and this is why we, the players, do care very much to keep the tradition of this sport event that is slowly becoming our town brand, well known in Serbia and much wider. During year of 2009 "Feniks" made very nice collaboration with sitting volleyball club from Szeged "Csakazért SE", Hungaria, and it expanded during next year of 2010. We played few matches with them where we shown significant improvement in our play. The coach of this team and the member of Hungarian sitting volleyball association conveyed his impressions about our team to the other members and the result is that "Feniks" was invited to participate in competition for Hungarian championship for year 2010. Many thanks for that! Since then there were still no necessary conditions established to organize Serbian championship league, this invitation was accepted with gratitude. Thus we started our first season in good organized and strong championship. Playing a lot of matches in this competition, our team gained many new experiences. It was very good motivation for all of us to work even harder in order to improve. There is also good motivation towards organizing clubs, association and domestic league in Vojvodina and in Serbia. Anyway, since that moment we are regular and respected member of Hungarian Championship, originaly called "Bajnokság". The first website pages were issued in early 2010. We published than all current news retroactively, for a very long time period and we continued with regular announcements. We strive to be updated, although we can't promise that. In fact, it is a pure enthusiasm and volunteering of our small home office responsible for pages in front of you. These are the qualities of the players & coach at the club, including our own. Such attitude in the website development made the site became one of the most respected in our surroundings, and your task is to make sure of it's quality and authenticity. The initiator and chief editor of the website is Zoran Zaviin - Zoka. He is the author and translator of texts, performer of rough selection of photos and video clips, collector of external news about the club from all media types, and final reviewer overlooking the webmasters work. And the webmaster is Dragan Grbić - Grba. He is responsible for the visual experience, processing, organizing pages, for the web space, for implementing and directing editorial ideas into action and even a bunch of other things. Occasional but always valuable, our collaborator is eljko Anđelov. He prepares and edits video clips. Taking pictures is not an exclusive task, so photographers are switched according to the case. Be sure that the best photos are Grba's handiwork, although in recent times our friend Valex is included. Zoka is present in a large percentage of events that we describe, so there are a bunch of photos that are either his or just made by his camera. However, the list of photographers is much longer, because we have helpers there in Irma, Bule, eljko, players from the bench and from our friends. Therefore, the photos on the site are mostly our copyrighted work, so if you need some of them, please, be free and contact us (okifeniks AT gmail.com).